This week's feature is actually in the public domain, so you can watch it online for free. 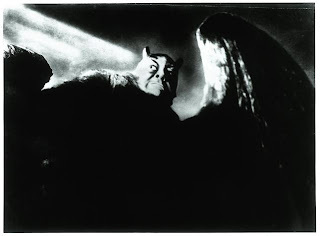 Perfect for the dark and spooky aura of Halloween, this week's film is the 1926 German expressionist silent masterpiece Faust from director F.W. Murnau. 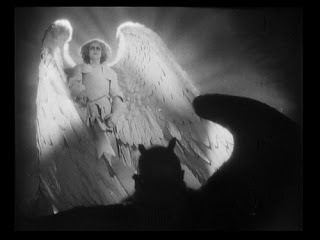 Murnau is famous for another spooktacular film, Nosferatu, but since it's well-known I thought I'd discuss Faust instead. 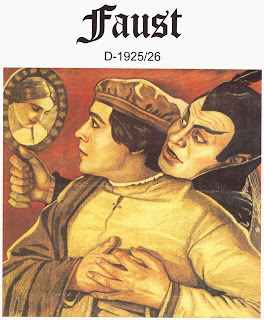 As many of you may know, the legend of Faust is very old. In Elizabethan England, Christopher Marlowe wrote a darkly comic play based on the legend. 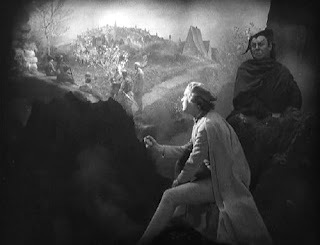 However, as Murnau is German, it makes sense that he uses Goethe's Faust in his adaptation. In the story, a good doctor named Faust finds himself the subject of a bet between the powers of light and dark. The devil (called Mephisto) is after his soul and grants him all his worldly desires: fame, youth, power, and all the women in the world. But when Faust lusts after an innocent young maid named Gretchen, he begins to see the error of his ways. The film itself is super-innovative for its time period and pioneered techniques filmmakers still use today. The plot is well-written and visually captivating, so even those not used to silent films will probably enjoy this. One of my favorite films of all time! Just look at some of these stills--this film is most certainly a work of art! Top, Gretchen gazes into Faust's eyes; Bottom, The Archangel rebukes Mephisto. Oh, and a little adviso: the soundtrack has been re-done and re-recorded (several times I believe), so don't be surprised if you find a version with modern, electronic style accompaniment. The linked version I've provided has said music, but you'll also find earlier orchestral recordings out and about. 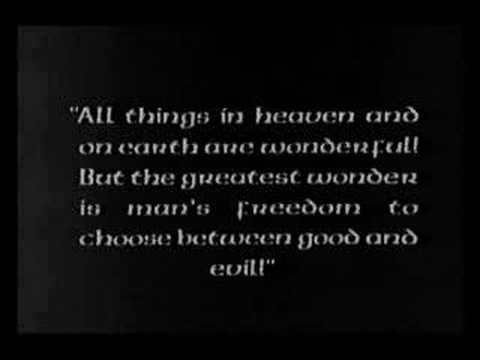 I actually enjoyed the dark style of the modern music with the expressionist style of the film. Posted by beata-beatrixx at 8:16 AM 0 comments/comment?